The innovative office-share co-working space in Frisco called ELEVATE coSPACE is one example of the potential startup business that could transform mountain communities into high-tech hubs with higher-paying jobs. If you’re like me, you think our mountain community is an amazing place to work, live and play. But, I’m worried. You should be, too. True, we might not need more growth during the December holidays or spring break or around the 4th of July. Our ski slopes, our trails and our towns are being loved to the max during the peak times. But, we DO need higher paying jobs, we DO need to diversify our economy, and we DO need to attract and retain smart, problem-solvers who care about this community and want to continue making our home an amazing place. ELEVATE coSPACE in Frisco hosted a National Inventors’ Day event last month. So, yes – we DO have a need for economic development. And, yes, we DO have a need for more innovation and invention right here in the mountains. We have an opportunity to build a brighter future that WE design and plan. Our community should be the hub for innovation, tech and creativity in the Rocky Mountains. But we’re missing the opportunity. We’re too complacent. And focusing in the wrong direction. We’re trying to fix the symptoms like workforce housing instead of solving the root cause of the housing shortage by creating a higher living wage and a stronger, more diversified economic base. We already have one of the highest educated communities in Colorado. You guys are smart, really smart. But, you’re underemployed. Many of you are working two or three jobs just to pay your (ever-increasing) rent or mortgage. What if we created higher paying jobs that weren’t wholly reliant upon tourism? The per capita income in Summit County is $33,052, and only slightly higher at $37,014 in Eagle County (per the Northwest Colorado Council of Governments). We have an opportunity to double or triple that. Let’s help locals start their own businesses. Let’s create new educational opportunities and non-traditional learning programs for in-demand jobs like data science, programming and coding and project management. Let’s help locals find location-neutral jobs and build startup companies right here. Let’s focus on creating jobs and opportunities for locals to make $80,000 a year or more, a lot more. We can do it. We can support our motivated, smart, ambitious innovators. 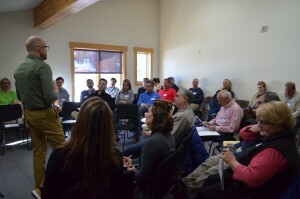 We can build and grow our startup community and create our own hub of innovation right here in the high country. Entrepreneurs must lead the charge. We have a lot of local entrepreneurs who are eager, hungry, young (or young-at-heart) ambitious and talented folks. Innovators like Fin Doyle from Sulas Industries, Nick Frey from Boo Bicycles, Jeff Westcott from Mav Sports, James Lee with Fathom VR (and four other companies), Shawna Henderson from Adrenaline Escapes and others, too many others to list. They’re long-time locals who are paving their own way and inspiring others. Then, there are the entrepreneurs and business veterans who have either retired here or who have a second, third or 10th house here. Clearly, they’ve been successful in their careers. And they’re giving back to our community through donations. Now, I’m challenging them to give back to their community in a different way. What if they became mentors or investors in local startups or local companies? We have an influx of new “city folk” who are relocating their business or startup here from Denver, Boulder, New York, San Francisco. Let’s welcome them into our community, learn from them and encourage them to mentor and invest in other local startups and help us build a stronger community. We must have a long-term view. We need people who are committed to our mountain community and making this place even more amazing … not just for the next year or two but for the next 20 or more years. Count me in. I moved to Summit County in 1998 and plan to be here for another 18+ years. What about you? To make a startup community – or any community – work, really work, you need to be inclusive and welcoming. That’s what we aim to do every day. If you’re in tech, join us. If you’re an innovator in another field, be part of our tribe. We want everyone and anyone who is focused on making our community an even more awesome place through innovation, creativity and hard work. We’re already doing a lot of these activities here in Summit, but we could and should be doing more. Support the next Startup Weekend, sign up for a SBDC workshop, come to a meetup or workshop at ELEVATE or start your own meetup group. The NWCOG has already created a blueprint for our region in collaboration. Come to the next Economic Development District meeting. We need entrepreneurs to get together, collaborate and we need ideas to collide. Let’s start working together and supporting each other. 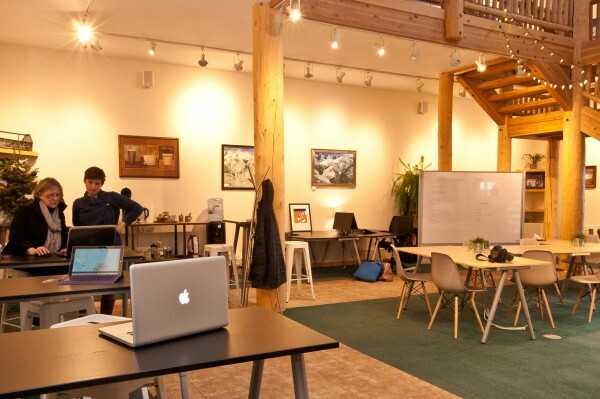 The rapid growth and interest of co-working in Summit is an encouraging sign that we’re on the right track. As a founding member of ELEVATE coSPACE, I can assure you that we have the community interest and potential to create a startup community right here that supports local entrepreneurs and innovators. In fact, there’s an accelerator program being planned here and we just announced new educational opportunities – a full stack program – at ELEVATE, in partnership with Regis University. We have the foundational elements but we cannot succeed without a committed focus on broadband, protection for a strong patent system and increased support from our educational partners, towns, county and community. We’re on the right track. We have brilliant and motivated innovators, startup founders and entrepreneurs in our community – people like Fin, Nick, Westy, Shawna. These are the pioneers and the risk-takers who are leading the way. We need your help. This is a call to all of the entrepreneurs and innovators in our community to come together. This is a call to our elected officials and Summit County community to support this movement. We hosted an event a few weeks ago at ELEVATE Frisco on National Inventors’ Day to say thanks to these leaders and innovators in our community and to get working on economic development, patent issues, broadband and collaborations. If you want to start building this future together, join us. Let’s make our community an even more amazing place to live, work and play. 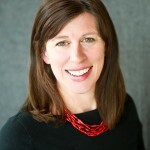 Amy Kemp lives in Summit County and is cofounder of ELEVATE coSPACE and the founder of Mountaintop Media. Email her at amy@elevatecospace.com.